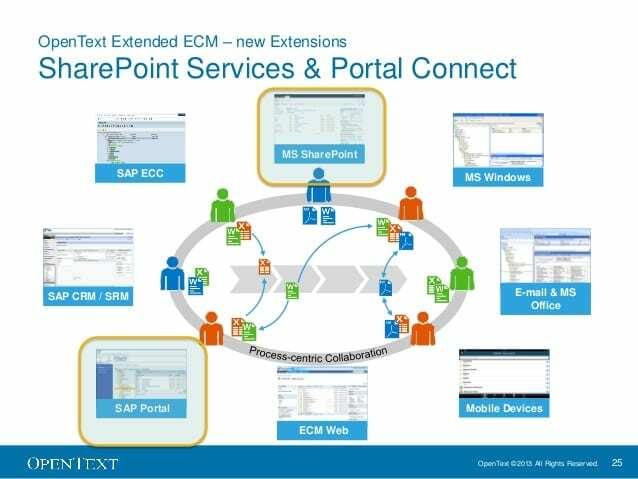 OpenText is an innovator in the field of Enterprise Information Management (EIM) in the cloud. Today, the Waterloo, Ontario based firm has announced the appointment of Stephen Murphy as President of OpenText. CEO Mark Barrenechea will continue in his role as CEO, while also absorbing the responsibilities of the Chief Technology Officer (CTO). You might recall seeing Barrenechea’s name on CloudWedge before; Barrenechea was recognized in our Geek of the Week section back in March of 2015. OpenText’s reorganization of its executive talent should help the business achieve its core objective of giving organizations the ability to work with information, both on-premises and in the cloud. Stephen Murphy has an impressive an resume. His most recent position was with Oracle where he helped the budding cloud giant achieve greater profit margins while increasing Oracle’s sales all across North America. Mr. Murphy has previously held executive roles with Sun Microsystems, Accenture and Procter & Gamble. “Steve brings extraordinary talent to OpenText and I look forward to working with Steve for many years to come,” mentions Mark Barrenechea, CEO of OpenText. “With Steve now part of our Executive Leadership Team, I can focus more on OpenText strategy, M&A, customers and our next generation products. Over the past four years, the team has dramatically improved the operations of the business, and I look forward to applying the same level of energy and results to the strategic aspects of our future,” Barrenechea added. Barrenechea went on to say that OpenText boasts the most executive experience of any company competing in the digital world. With this leadership in place, OpenText could be poised to have a breakout year in 2016. A press release detailing the OpenText executive team changes says that Murphy will assume his role as President on January 4th 2016.